The commonplace nature of cinemas in the United States allow us to take for granted the power of cinema. Most of us live close to prolific multiplexes, so no effort is needed, no great journey undertaken, to get to a theater. But once inside we enter a dark room and are taken far away from our everyday lives. It is so easy to fall into the world of a well-crafted movie that I often find myself lost in the experience. That magic of cinema makes me a movie lover to the point that I spend countless hours each week watching and reviewing films for Now Playing Podcast. Because cinematic worlds are consumed so easily by moviegoers, it is easy to overlook the talent of hundreds, sometimes thousands, of people whose combined work creates a vision from nothing. I know as a very young child I never thought about who made a film. I never envisioned writers trying to sell a spec script, directors scouting for suitable locations, or puppet-makers designing detailed creatures. Despite loving Star Wars I didn’t know the name George Lucas. I just paid my two dollars and was taken to a galaxy far, far away. But I can very clearly remember the year in my life when that simplistic view of movies changed, and I realized movies were made by people — and certain people made films better than others. 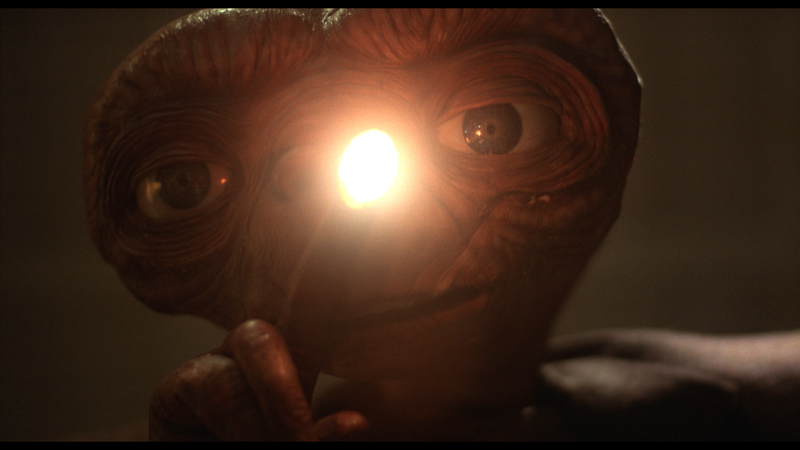 I was 7 years old, the year was 1982, and the film that made it clear was Steven Spielberg’s E.T. the Extra-Terrestrial. I didn’t know Spielberg’s name, nor his work. Jaws, Close Encounters of the Third Kind and Raiders of the Lost Ark may have been the films that made the director a household name, but as a young child that was lost on me. The first time I paid attention to his name was a Saturday night in the spring of ‘82. Despite my age, my Saturday night ritual was to watch Siskel & Ebert At The Movies. I was interested in which movies deserved the coveted “Thumbs Up” from the critics, but more than that I loved seeing the clips of so many different movies all in a half-hour. Through these two iconic critics I was exposed to more movies than my parents would allow me to see. The pre-release materials never allowed audiences to view the alien creature — you had to pay admission to see it — but from that trailer I felt there was something dangerous and wondrous in that shed. I thought E.T. was a horror film and I thought Elliott was in grave danger from the unseen beast, but I wanted to know more. In their review Gene Siskel and Roger Ebert repeatedly referenced director Steven Spielberg. I remember going to see E.T. opening weekend. Unlike Raider’s of the Lost Ark the year before, I would not miss this film. But I needn’t have feared — going was a family event. For a change it wasn’t just the science-fiction obsessed boy in the house demanding to see the movie. Everyone, from my workaholic, absentee father to my pragmatic mother to all three of my teenaged sisters, wanted to see this movie. Being a large family with children ranging from 7 to 19, whole-family outings to a movie theater were rare. But this was one of those occasions. I remember the six of us taking up a good portion of the row, and how I was once again transported into the world Spielberg created. I also remember crying at the end, and trying desperately not to. As a child I was very sensitive. I also was not wholly unfamiliar with the idea of a bittersweet ending. My sister Susan helped me remember watching a rerun of the 1978 TV special Puff the Magic Dragon and how at the end Puff flew off, leaving Jackie alone. I didn’t understand then the importance of Jackie’s transformative experience with Puff, I just saw a boy losing his friend. I heard the line, “Dragons live forever, not so little boys” and I cried. Hard. My father, however, had no sympathy and chastised his 4-year-old son for getting emotional over a television show. 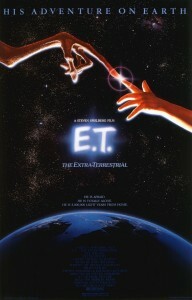 Now here it was just a few years later and that Puff ending was replayed with E.T. leaving Elliott, and once more I was crying. My father was sitting just a few seats away, and I tried to hold in the tears. I failed, and left the theater sobbing. I also left that theater changed. The film had engrossed me, and I’m told I wouldn’t stop talking about it for weeks to come. More, I kept going back to see it. 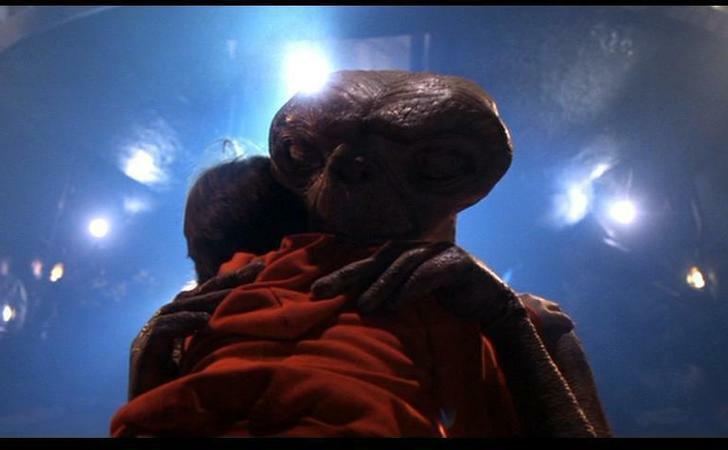 The second time I saw E.T. I went with Stuart, whom I had met the previous year in grade school. Knowing the ending in advance, I told myself I’d hold it together. I did better, but when the credits rolled my lower lip was quivering and tears streamed down my face. Then I saw it with my godparents, then a babysitter, then my mother’s friend who took me, both to occupy me one afternoon and to see the film herself. Going to see E.T. became a habit. I ended up seeing it about a dozen times in theaters. Then I started to seek out more about Spielberg. I started to connect that name with Raiders of the Lost Ark and other films both at the video store and in theaters. Through At The Movies I became more exposed to the people behind the camera, as well as in front of it. But no matter how many names I learned, Spielberg’s was special from that moment with E.T. That film was a massive success, dethroning Star Wars as the highest-grossing picture of all time. As such, the number of “Spielberg films” exploded, from Gremlins to Goonies, Indiana Jones and the Temple of Doom to Back to the Future, Poltergeist and even An American Tail (which, at 12, I felt far too old to see in theaters, but went for Spielberg). I sought them all out. The lesson I learned as a 7-year-old took many more years to sink in fully. I spent my teen years following actors instead of filmmakers. I would enjoy a film with Corey Feldman, John Candy, or Eddie Murphy and wanted to see more of them, but I was repeatedly disappointed by the uneven nature of their performances. 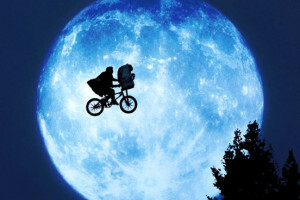 Finally, later in life, I would relearn the childhood lesson, as I started to appreciate films for those who made them. I would follow the careers of Oliver Stone, Quentin Tarantino, Richard Linklater, Darren Aronofsky, and others. 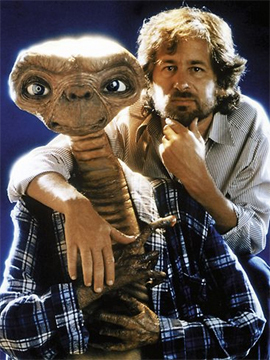 But Spielberg was the first auteur to excite me — at just 7 years old — as I watched E.T. phone home again and again.